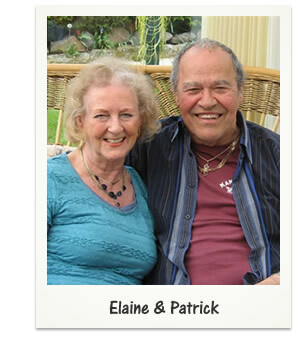 Meet Elaine & Patrick, our latest senior dating success story from Singles Over 60. I first got in touch with Patrick on 24th March, he booked a Sunday lunch at a restaurant and spent the rest of the day at Little Studley Park, a National Trust beauty spot with lakes and fallow deer. We both knew we wanted to see each other again. Since then we have seen each other five times a week and he texts me every day; I have met his two daughters and son several times, and he has met my mother twice (she is 97 and still living in her own flat). I already had two holidays planned this year before I met Pat, but we intend to spend at least one holiday together in the middle of my two. My life has really taken off since I’ve known Pat, he is a fabulous man, a family man and a fun man. So thank you Singles Over 60 for introducing me to him. Everyone at Singles Over 60 wishes Elaine and Patrick a happy future together. If you’ve not signed up yet yourself, Join Now For Free.